I'm on a Ryzen 1800X and Biostar B350GT5 on bionic kubuntu. 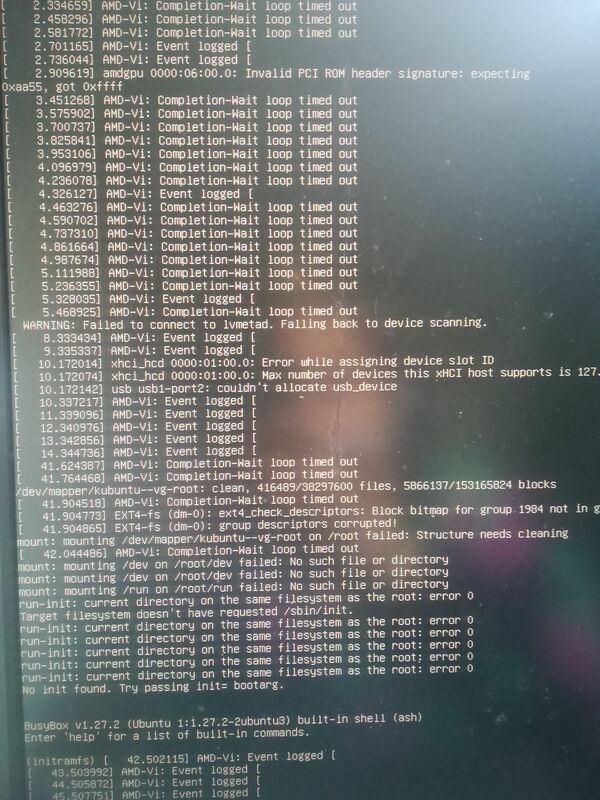 There are lots of AMD-Vi logged events and I get irq crashes or acpi hangups with a 'normal' boot. I got it to boot by disabling IOMMU in the BIOS and adding "iommu=soft" to the kernel booting options in grub. linux can then detect everything properly (all cores) and I've had zero crashes. The only issue is that it's using software IOMMU which could have a performance penalty because it has to copy all the data of some PCI devices to sub 4G regions. Alternatively it boots with the kernel option "acpi=off" but only detects a single core/thread. I attached a kernel log. Installed is Debian Stretch/Sid with kernel 4.9.6.
otherwise the kernel crashes and the file-system is corrupted. efficient manner - the fan is quiet or stopped. Attached are kernel messages using netconsle. Do you have the amdgpu firmware installed? Problems might be fixed in the latest code. Doubt the problem is in the amdgpu driver. 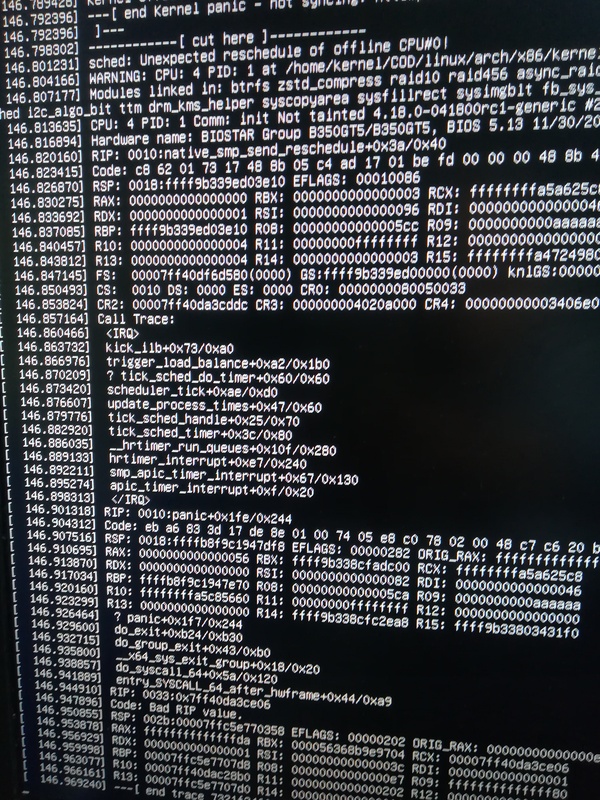 What about bug in the amd_iommu? I think this because I tried to switch off external GPU using acpi_call module. with amdgpu and active iommu. I will try a newer kernel. I did this twice - one time with and one time without iommu=off. Is this a proof the problem is in the amd_iommu.c? The kernel configuration file of Debian Official kernel are available in /boot, named after the kernel release. Copy the .config file to the linux directory. Connect all your devices and run the command: make localmodconfig. You can use the command make defconfig too for creating initial .config file. Use the command: make xconfig and check that you have enabled: Reroute Broken IRQ, Virtualization KVM and 300Hz CPU timer, I also disabled Swap, Kernel Debug, CPU Freq scaling , Cpu handling in Acpi, Used Bios to control CPU and devices. In the drivers->graphics->amdgpu enable cik support for a gcn 1.1 gpu and si support for a gcn 1.0 gpu. You have Carrizo and Topaz gpus. Can you disable the other from bios? The linux driver does not support amd dual graphics to speed up fps. In the kernel configuration you can try to disable iommu and vgaswitcheroo. From the kernel command line you can blacklist pci devices. The BIOS is really primitive, there is nearly nothing regarding HW that can be changed :-/. I can continue to use iommu=off, it seems to be fine. When I exit the above pictured initram prompt I get a full crash. I found it also boots with IOMMU turned on in the bios as long as you set iommu=soft, both with the ubuntu kernel and the mainline kernel. Is AMD-V enabled in BIOS? The upstream bug https://bugs.freedesktop.org/show_bug.cgi?id=101029 makes reference to https://bugs.launchpad.net/ubuntu/+source/linux/+bug/1683184 which is marked as fix released, just a heads up. I don't see the patch is in upstream Linux though, so still worth a try. I agree, I just meant that that bug might also be useful with debugging. It was closed because zesty reached EOL. The patch mentioned in the upstream bug report and comment #25 never landed in mainline. I tried to apply it to Bionic, but it does not apply cleanly. I'll work on back porting it. I'll post a test kernel shortly. We can then update upstream with testing results. There is a bug report that you created a patch for a while back. that will apply to current mainline? My original patch was never accepted. Tom and Joerg worked on another patch series which was supposed to fix the issue in question in addition to do some code cleanups. I believe their patches are already in the mainline. If I remember correctly, one of the patches disabled PCI ATS for the graphics card which was causing the issue. 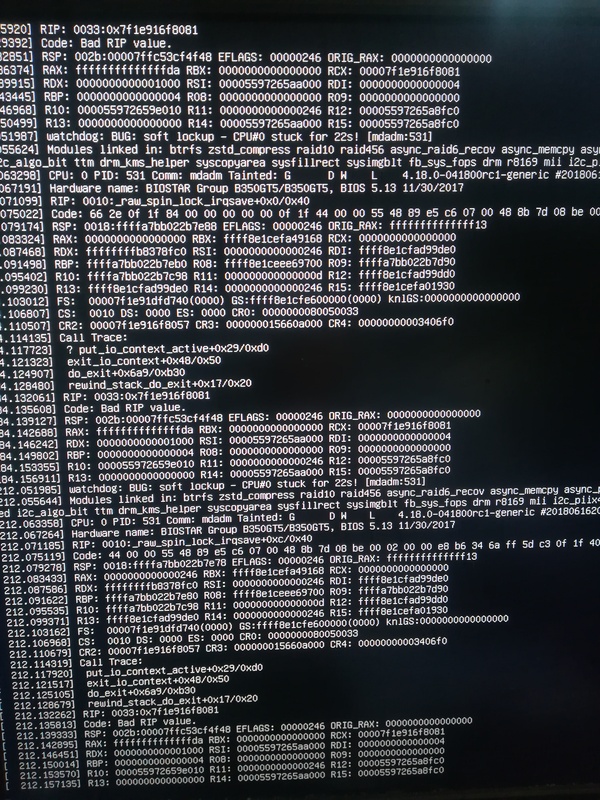 Do you still see the issue with latest mainline kernel? There is a bug report that you created a patch for a while back. However, the patch never landed in mainline. There is a bug reporter in Ubuntu that is affected by this bug and is willing to test the patch. I attempted to build a test kernel with the patch, but it does not apply to currently mainline cleanly. Do you still think this patch may resolve this bug? If so, is there a version of your patch available that will apply to current mainline? > My original patch was never accepted. Tom and Joerg worked on another patch series which was supposed to fix the issue in question in addition to do some code cleanups. I believe their patches are already in the mainline. If I remember correctly, one of the patches disabled PCI ATS for the graphics card which was causing the issue. 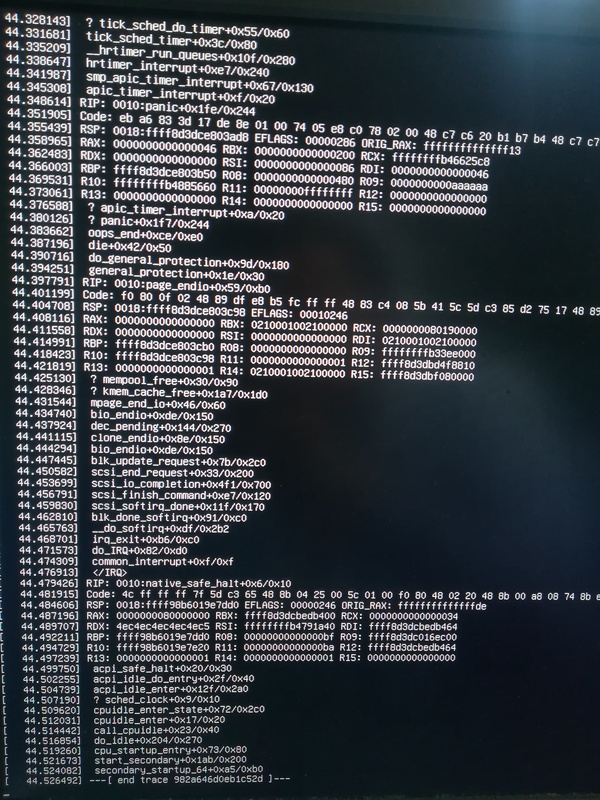 > Do you still see the issue with latest mainline kernel? > There is a bug report that you created a patch for a while back. However, the patch never landed in mainline. There is a bug reporter in Ubuntu that is affected by this bug and is willing to test the patch. I attempted to build a test kernel with the patch, but it does not apply to currently mainline cleanly. Do you still think this patch may resolve this bug? If so, is there a version of your patch available that will apply to current mainline? and it is reported the bug still happens in the Ubuntu kernel bug. Is there any specific diagnostic info we can collect that might help? > card which was causing the issue. > > Do you still see the issue with latest mainline kernel? > > There is a bug report that you created a patch for a while back. > specific diagnostic info we can collect that might help? Joe, I believe all the information needed is already provided in . Let us wait for inputs from Tom and Joerg. I could take a look at the issue locally, but it will take me some really long time since I am occupied with other assignments right now. >>> card which was causing the issue. 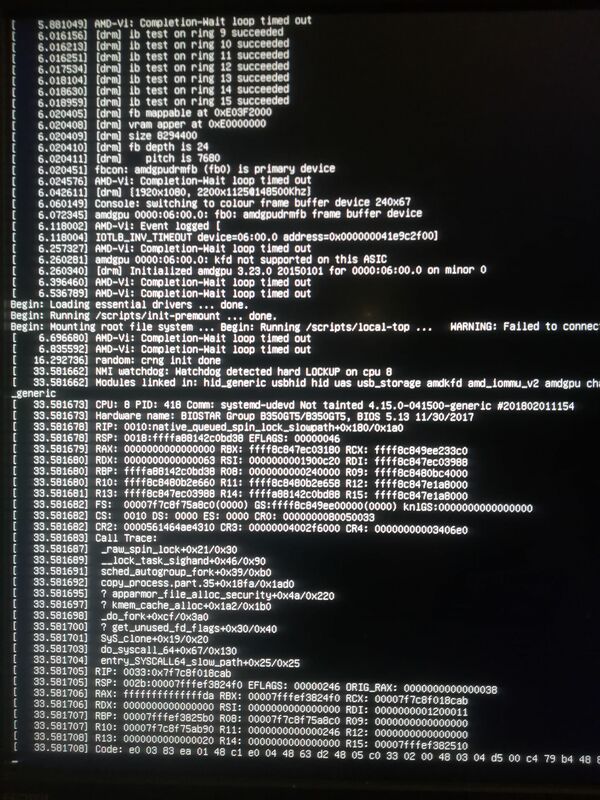 >>>> Do you still see the issue with latest mainline kernel? >>>> There is a bug report that you created a patch for a while back. >>> specific diagnostic info we can collect that might help? >> Joe, I believe all the information needed is already provided in . Let us wait for inputs from Tom and Joerg. @Peridot, I know you responded that the current mainline kernel still exhibits the bug on IRC. However, could you also add that test result to this bug report for upstream tracking? is hard to determine what the issue really is. necessary on the kernel command line). that the BIOS does not have a requisite fix for SME and IOMMU (see ). this BIOS fix, then the result is AMD-Vi completion-wait timeout messages. allows the kernel to boot. 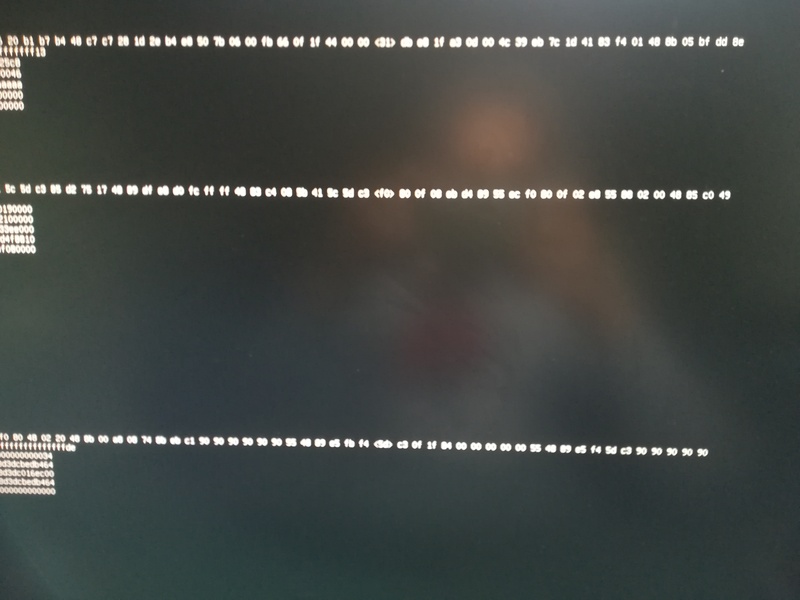 When booting with SVE and IOMMU enabled in the bios I got an endless screen of text and I couldn't make up anything from it. I still encounter a same issue concerned to ext4 fs corruption using linux kernels 4.19.16... 4.20.27 on HP laptop 17-ak041ur (2 pcs on hand). Boot and installation of the system is performed flawlessly using LiveCD if LAN cable is NOT attached. dmesg shows plenty of "AMD-Vi: Completion-Wait loop timed out" errors. 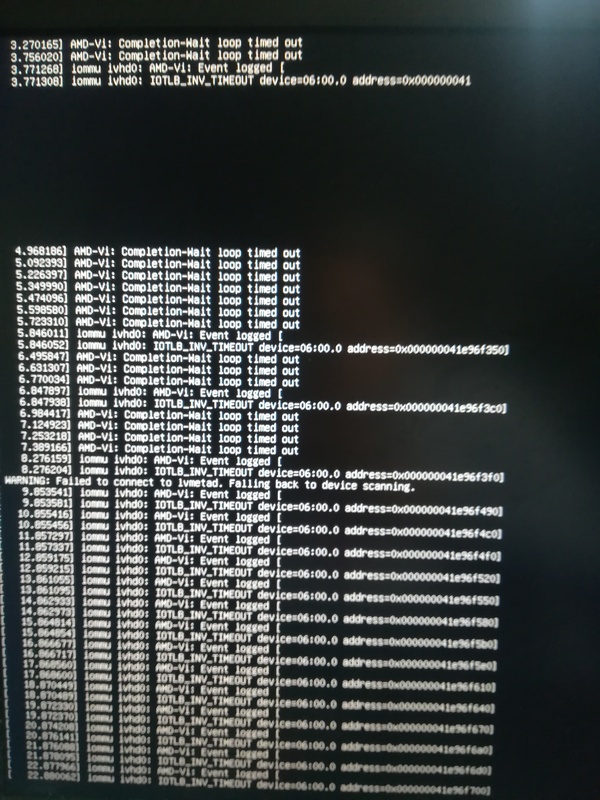 Connecting LAN cable during LiveCD boot results graphical target boot failure or kernel panic. After first reboot the system won't boot anyway and ext4 filesystem corruption occurs. As investigtion revealed that switching IOMMU off (amd_iommu=off and/or iommu=soft) solves the issue. "amd_iommu=fullflush" doesn't work for me. I've discovered several patches concerning solution of (amd_)iommu issues in linux-kernel mailing list archive, but they are either applied to kernels mentioned above already or their application doesn't solve the issue for me. Above mentioned patch (https://patchwork.freedesktop.org/patch/157327/) is not applicable to mentioned kernel versions any more. Therefore my question is: am I missing some patch that already solved the issue or should I provide more specific bug report? > kernels 4.19.16... 4.20.27 on HP laptop 17-ak041ur (2 pcs on hand). The issue first started after installing the second GPU on each of the systems. I can't even boot the system, as the errors appear right after BIOS initialization. Entering emergecy mode. Exit the shell to continue. After some research I discovered that it is a IOMMU issue. I turned IOMMU off on both motherboards, and I managed to boot the system. One also can use a 'pci=noats' as a temporary countermeasure. Thanks to Joerg Roedel <email address hidden> who guided me to a solution. 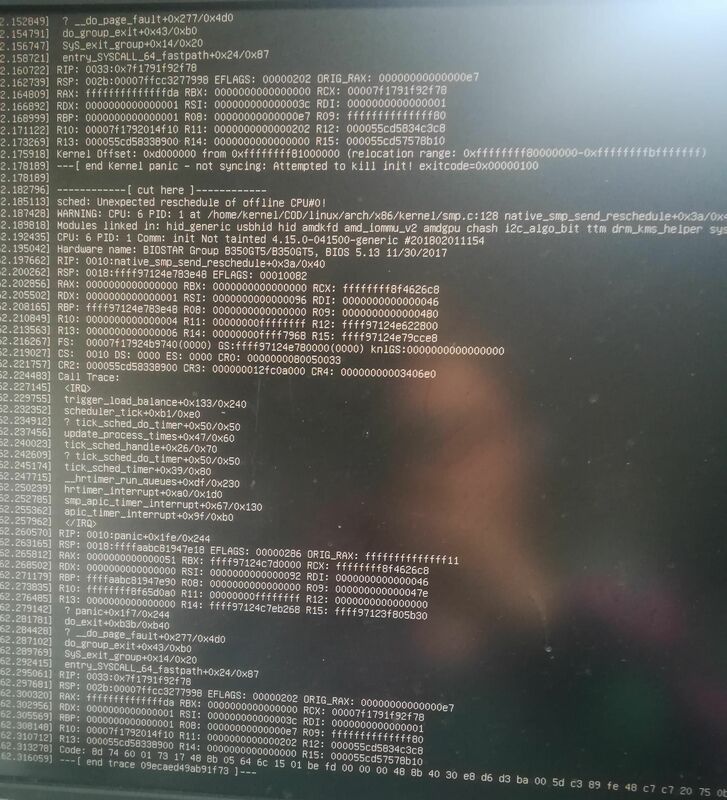 Only work around is to add the kernel parameters, but booting ubuntu shouldn't wipe my OS? 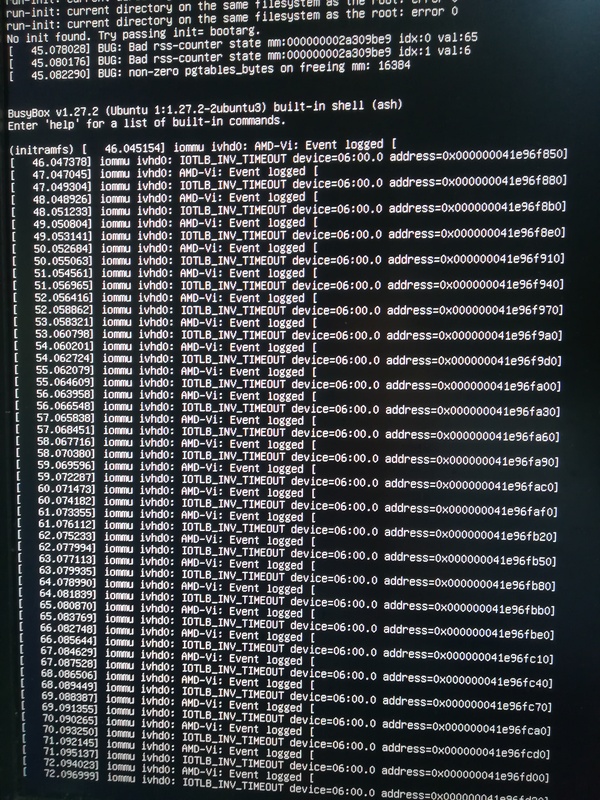 Does booting with amdgpu.runpm=0 on the kernel command line help? 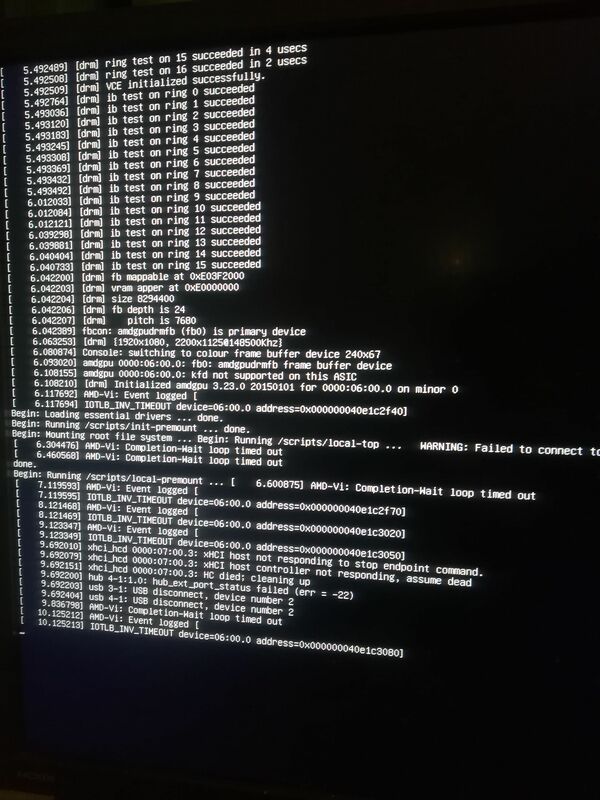 > Does booting with amdgpu.runpm=0 on the kernel command line help? Yes it does. System is able to boot and no filesystem corruption occurs either. So which solution is preferable in such case then?